As you saw here, I have been dreaming about the beach a lot lately. We are in the middle of August and quite frankly I can't take the heat! Fortunately, we still have a few months of beach weather here in Florida! Danny and I love taking les deux to the beach! It really can be a lot of work, but we have to turn these kids into beach bums just like their parents ;-) So I decided to share a few of our favorite must-haves for a day at the beach with toddlers! Even if we go to the beach for a day we manage to have oodles of things with us so our collapsible wagon is a must! It fits everything and even a kid or two...With this extreme heat I always make sure to keep them covered with lots of sunscreen, a hat and sunglasses. How cute are the Bonlook sunglasses with full UVA & UVB protection? Beach Toys are a must as well... The beach is like a big playground with plenty of sand and water for them to keep occupied for hours. I absolutely adore this Melissa & Doug Sand Baking Set! And for the shell collectors out there, these mesh Hayden Reis seashell bags are perfect! And needless to say, we are huge Salt Water Sandals fans in this house! I couldn't agree more! 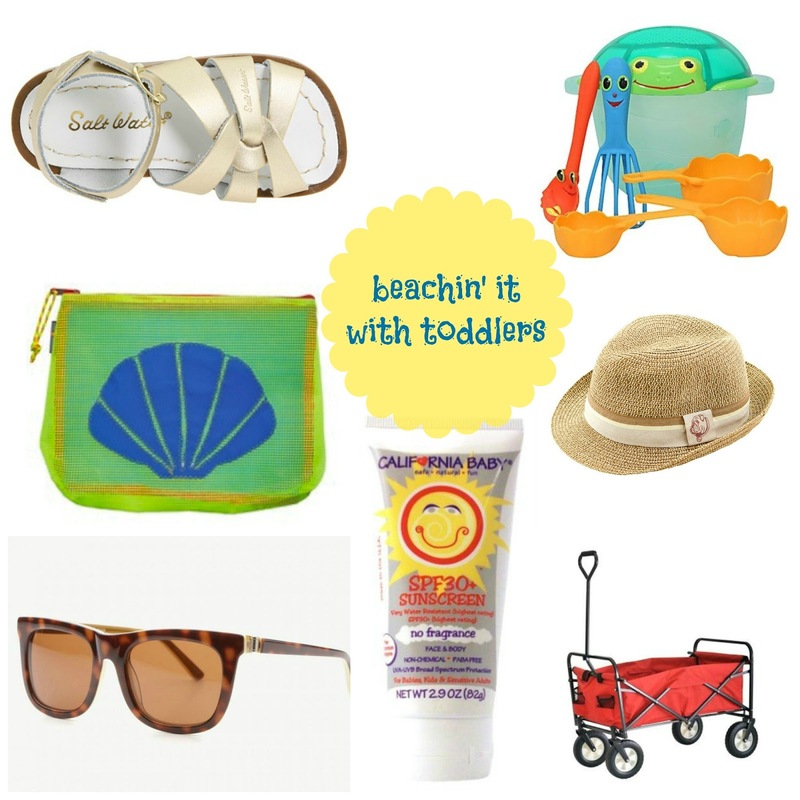 These are definitely beach must-haves for a toddler! And I LOVE that shovel and pail set! My daughter lives in her saltwater sandals. They are the best!